One’s home is the best place to relax and get stress free. After a long day work, when we reach our home, it feels like we have come to the paradise. Isn’t it? And when, the home is listed in the world’s most luxurious houses, then who would not want to flaunt it? People, who earn in multi-millions, love to spend a cosy and lavish life, and they tend to build opulent mansions, which are no less than any spectacular palace. After all, who else can make the dream come true of owning a lush and plush house than a millionaire? 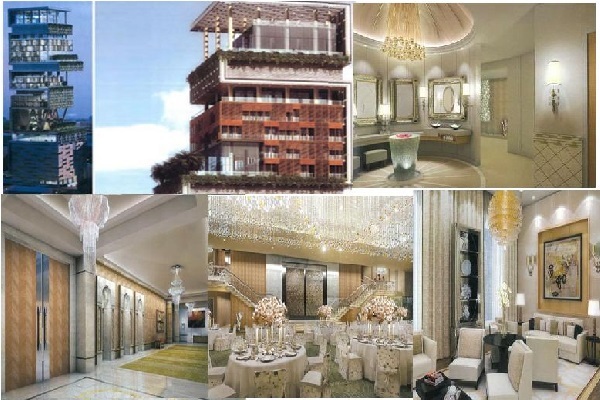 Here is a list of world’s most expensive houses, which belongs to millionaires and billionaires. 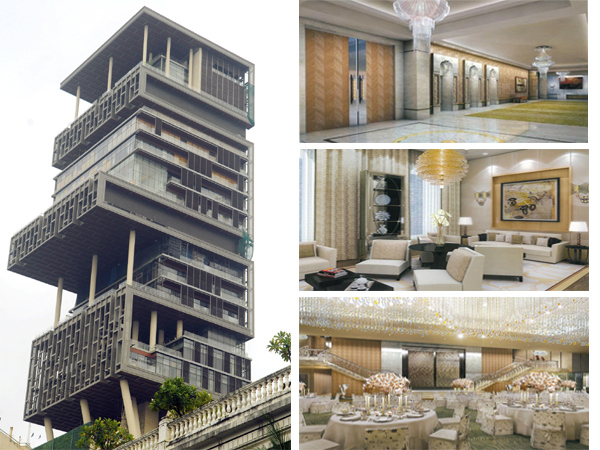 Antilla is a twenty-seven floor accommodation, which belongs to Mr. Mukesh Ambani, the chairman of Reliance Industries. 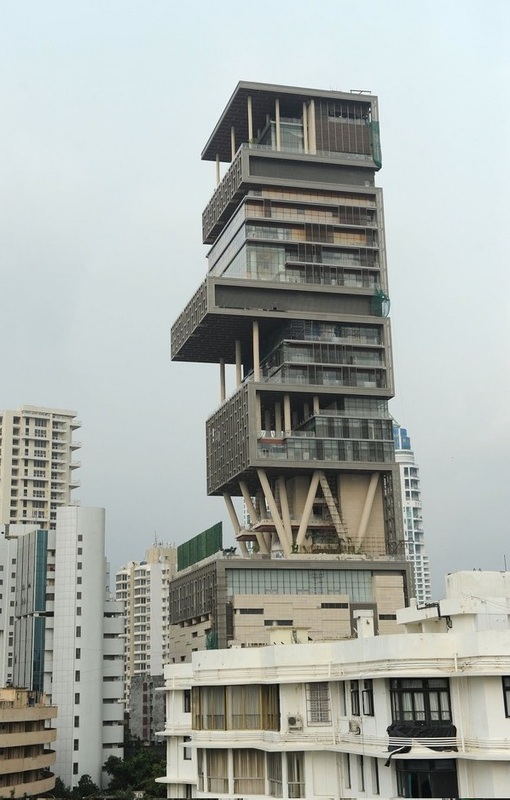 This magnificent building is situated in Mumbai, India, and tops the list of the most expensive houses in the world, having value around $1 billon dollar (as of 2010). The house is spread over an area of 400,000-square feet and is maintained and guarded by a staff of nearly 600 members. This breathtaking skyscraper is designed and constructed by architects from Chicago and an Australian company, Leighton Holdings. The name of the house signifies a huge imaginary island in the Atlantic Ocean. Antilla has three helipads, six storey underground parking, nine elevators, a large ballroom, a theatre, a bar, entourage room, green room, and several lounges. The house sparkles with the lustre of several chandeliers and candelabras, and also with the effulgence of its billionaire owner.